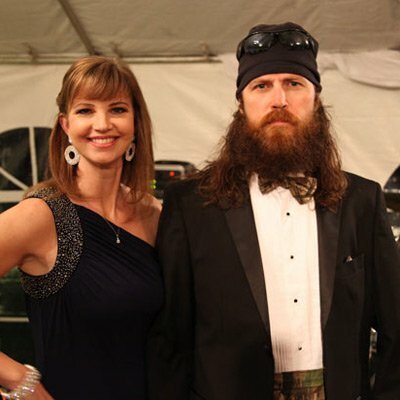 Duck Dynasty ’s Jase and Missy Robertson will serve as the keynote speakers and entertainers at the next month’s Children’s Home of Lubbock 60th anniversary celebration gala in Texas. United President Robert Taylor said the partnership between the organizations is based on a mutual faith-based founding and desire to serve others. As a result, United will be the title sponsor of The Children’s Home “Foster Our Future” gala on April 11. Tom Spoonts, vice president for development at The Children’s Home, said he used family ties to entice Jase and Missy Robertson to visit Lubbock. Gala attendees will hear Jase and Missy Robertsons talk about their story and parenting experiences as well as some singing and other forms of entertainment. The couple’s children may also make an appearance. The Children’s Home of Lubbock opened April 18, 1954, and has touched an estimated 6,000 children in Lubbock. The organization also works with about 50 foster families to provide care for all children who come to them in need. On any given day, The Children’s Home has an average of 145 children in its care. Tickets for the gala are in short supply already but can be purchased by calling The Children’s Home at (806) 762-0481 (806) 762-0481, ext. 213. Tables of 10 are $1,500, and individual seats cost $125. The event will take place at the Overton Hotel and Conference Center in Lubbock at 7 p.m. Friday, April 11. Though money raised at the gala will go toward operating The Children’s Home campus, the event will kick off the Foster Our Future Capital Campaign, which will go toward improvement of infrastructure and increasing the organization’s endowment.